Introducing S’more for the Kids! The Hershey Company has been a supporter of Children’s Miracle Network (CMN) for 27 years, sharing in a commitment to improve the well-being of children. Hershey has also been making memories and bringing smiles to children’s faces for more than 100 years. 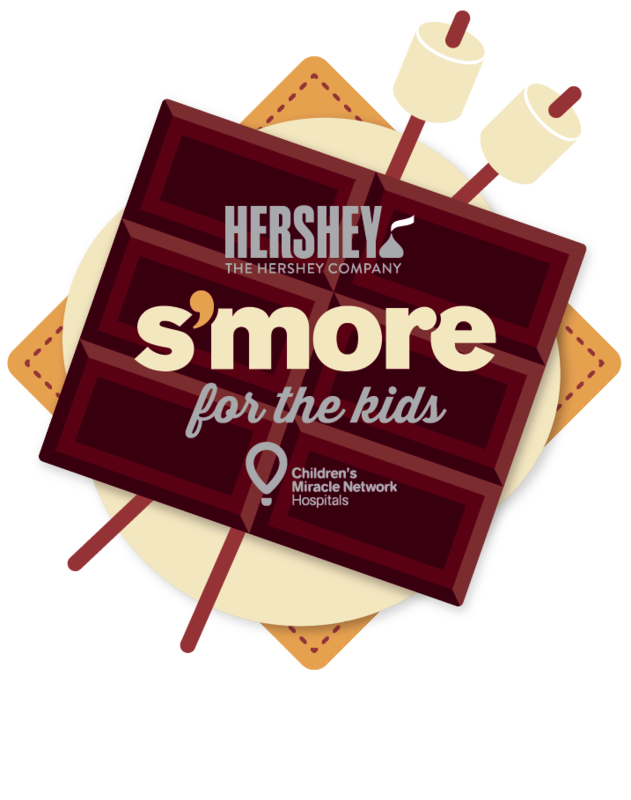 Hershey is elevating our CMN partnership as an annual employee campaign S’more for the Kids. Like sharing in the goodness of S’mores, employees and supporters can share their time or money to make a difference for CMN families. The Hershey Company and Children’s Miracle Network invite you to participate in community events. View a complete list on our website.